Patrick Hughes is a distinguished litigator and business advisor. As managing partner of the Cherry Hill office, he represents clients in significant commercial, product liability and mass tort litigation in state and federal courts in New Jersey, New York and Pennsylvania. He is likewise skilled in an array of commercial transactions. Patrick’s work on commercial disputes covers a wide range of contract, fraud and business tort cases. He has extensive experience in asbestos mass tort, defending manufacturers, suppliers and premises owners. Patrick first tried to verdict asbestos matters in the consolidated Brooklyn Navy Yard cases. Today, he continues to represent clients in asbestos matters filed in Pennsylvania, New Jersey and New York. His defense of product liability actions also includes various chemical exposure cases as national coordinating counsel. 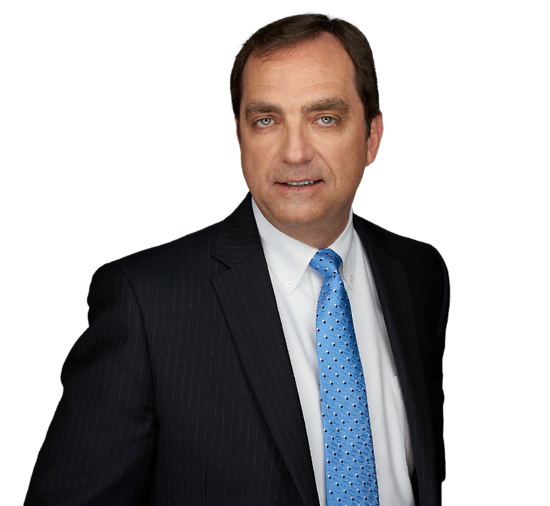 Over the course of his career, Patrick has tried more than 50 cases, including several professional liability cases. In addition to his litigation work, Patrick is adept at complex corporate negotiations and has counseled clients in the chemical, energy and software sectors, among other industries, in all phases of commercial contracts. Clients rely on Patrick for efficient and responsive legal solutions to their business needs. Patrick also has substantial experience working with health care clients, including physicians’ practices and home health care agencies. He has a deep knowledge of compliance issues, advising on the development of programs that address anti-referral, anti-kickback, privacy and other state and federal statutes and regulations, as well as counseling on general corporate matters. Before entering private practice, Patrick was a Captain in the United States Army Judge Advocate General’s Corps, where he was assigned to the 82nd Airborne Division as a prosecutor and international law officer. Glencore LTD v. Degussa Engineered Carbons L.P., 848 F. Supp. 2d (S.D.N.Y. 2012); Defended a manufacturer in a contract dispute and petition to order the dispute to arbitration under the Federal Arbitration Act and the New York Convention. Weiss v. Goldfarb, 713 A.2d 427 (N.J. 1998); Defended a medical center and its staff in a wrongful death, medical malpractice claim, in which the Supreme Court upheld the trial court’s denial of an ultimate outcome instruction requested by the plaintiff to inform the jury that any judgment against the hospital would be limited by statute. Patrick Hughes Co-authors “The Health Insurance Portability And Accountability Act’s Privacy Rule"